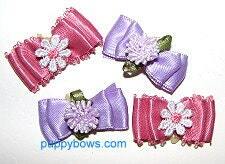 Choose your color and size and receive 10 topknot bows for everyday use. Each bow has a latex band attached. The tiny toy measure 3/8" x 7/8", Mini is 5/8" x 1" and Standard is 7/8" x 1 1/8". I strive to make every order beautiful and unique. Contact me with any questions. 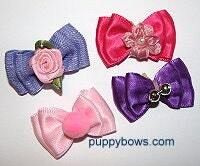 Bows are in stock and ready to ship.